The Government of Kerala has filed an application seeking transfer of petitions pending in the High Court of Kerala in relation to Sabarimala temple to the Supreme Court. The Government has specified twenty three petitions which are pending consideration of the High Court. The petitions were filed in the backdrop of security measures adopted by the government like deployment of police and declaration of prohibitory order under Section 144 CrPC on the ground of violent threats from extremist outfits to prevent entry of women to temple. The petitions in High Court challenged the police arrangements and prohibitory order as invasion on right to worship. Also, there are petitions alleging excessive interference by state government in temple administration, and lack of amenities for devotees. Apart from these, petitions seeking police protection and security arrangements for women entry were also filed in the High Court. Last week, the High Court lifted restrictions imposed by Police in Sabarimala and passed a slew of directions to ensure smooth pilgrimage. The Court also appointed a team of observers comprising two retired High Court judges and a police official in the rank of DGP and gave them power to oversee the situation and to take spot decisions to implement directions of the High Court. In this backdrop, the state government has approached the Supreme Court, stating that the directions issued by the High Court are contrary to the spirit of Constitution Bench decision of the Supreme Court delivered on September 28. 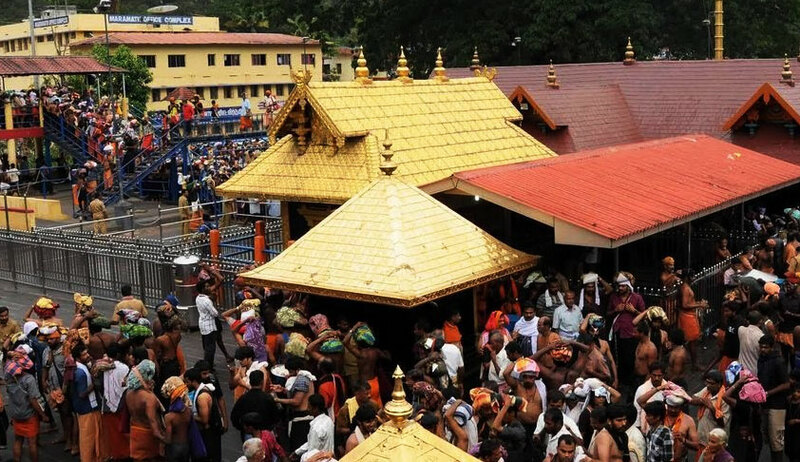 The Government has stated that Sabarimala issue has been politicised by right wing outfits; the holy chants of "sharana manthras" are being used as political slogans; bigots posing as devotees are creating law and order issues there. The incidents of violence which occurred on October 17 and November 5, when few women attempted entry, are also narrated in the petition. The interferences by the High Court are affecting the measures adopted by the Government to protect genuine devotees. The petition therefore seeks transfer of all the specified petitions and stay of proceedings in High Court in relation of Sabarimala pilgrimage.